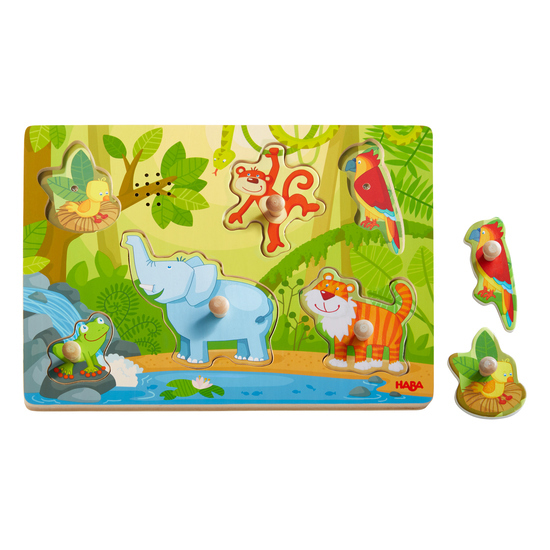 Welcome to the jungle, the home of elephant, monkey, parrot and their animal friends. Together, they have many exciting adventures. Correctly puzzling one of the 6 wooden pieces lets that animal talk to you. That makes for loads of fun, again and again. Batteries not included (2x 1,5 V AAA). Contents: 1 puzzle board, 6 puzzle pieces.